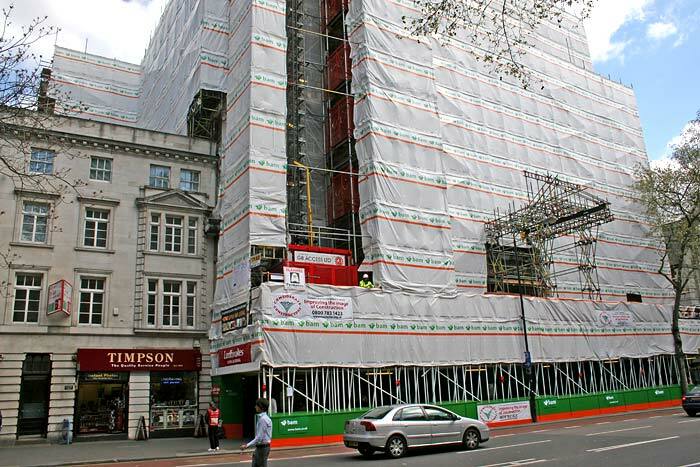 Africa House was a scaffold project with multiple challenges. Not only was this immense building surrounded by coffee shops, bus stops and pubs, with some parts unreachable from ground, but our work had to be completed within 14 weeks. 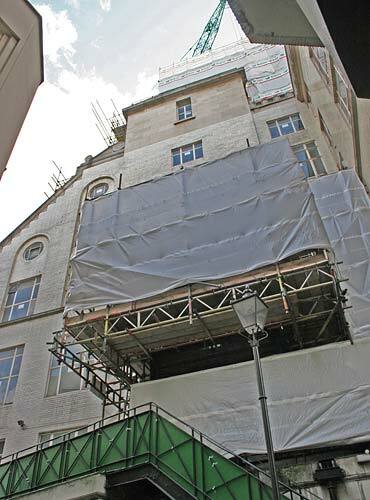 When the demolition and refurbishment of Africa House was put out to tender, the project received a great deal of interest. It is a Grade II Listed building in Kingsway, adjacent to the Holborn tube station in London. 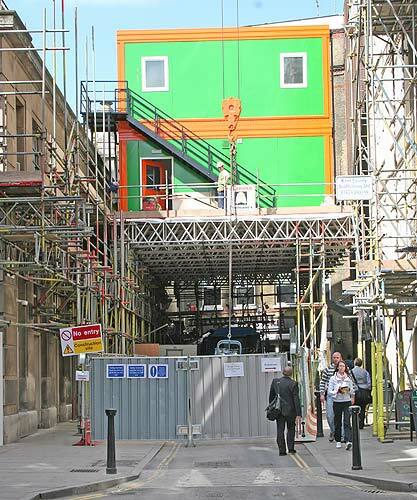 At the time, it was also one of a very few demolition and refurb projects being contracted. 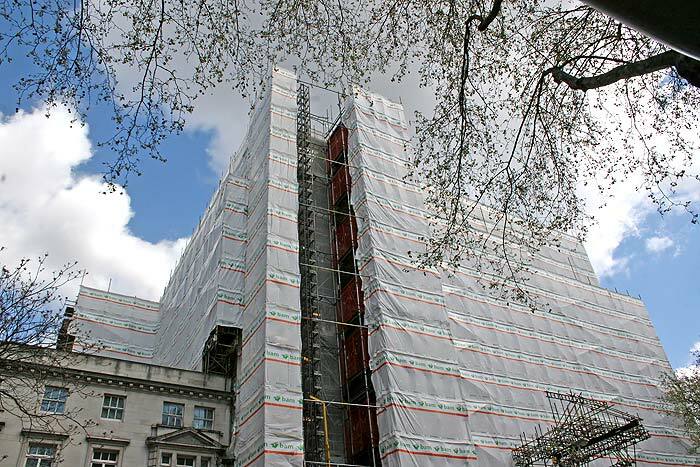 After quite lengthy negotiations, BAM construction won the contract, with TRAD contracted to provide the vast scaffold. There was a lot of planning involved here: the building’s proximity to crowded pubs and pavements meant we had to carry out hours of risk assessment. The scaffold design was also complex, as there were areas of scaffold that could not come to ground and others that supported great loads. More than a thousand beams and 14 weeks later, the scaffold was up. 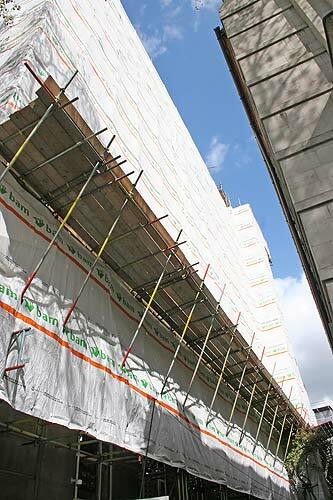 BAM was able to start work on time, demolishing the rear elevation, and commencing the new build in summer 2011.